Chinese Official: China Educating, Not Mistreating Muslims - Integration Through Media ....! 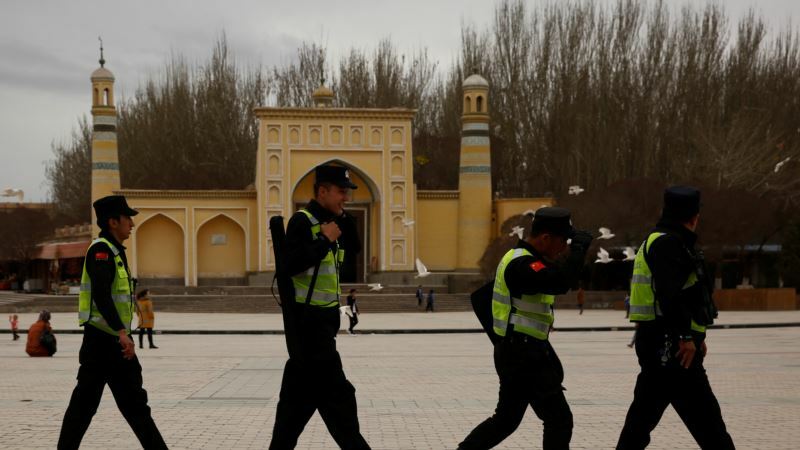 (VOA): China is not mistreating Muslims in Xinjiang province but is putting some people through training courses to avoid extremism spreading — unlike Europe, which had failed to deal with the problem, a Chinese official told reporters Thursday. “If you do not say it's the best way, maybe it's the necessary way to deal with Islamic or religious extremism, because the West has failed in doing so, in dealing with religious Islamic extremism,” Li told reporters on the sidelines of the U.N. Human Rights Council session in Geneva. Europe's top rights court ruled on Thursday that Britain had violated privacy and free speech with a “Big Brother” electronic surveillance program. He said the Xinjiang education centers were not “detention centers or re-education camps,” which he dismissed as “the trademark product of eastern European countries,” an apparent reference to Soviet Gulag detention camps during the Cold War. “To put it straight, it's like vocational training … like your children go to vocational-training schools to get better skills and better jobs after graduation.